Know if it is worth investing in WordPress themes or not. If you are a veteran in the blogging scene you must be aware that there are hundreds of free WordPress themes out there. Potential bloggers and website owners can find the best free themes for their sites. Generally, many WordPress theme developers create free themes only for fun. On the other hand, many premium theme providers and WP-related blogs may release free themes to attract their visitors. "There is much high quality, pre-built WordPress themes that provide beautiful design and quality functionality at a much lower cost than creating something nearly from scratch. 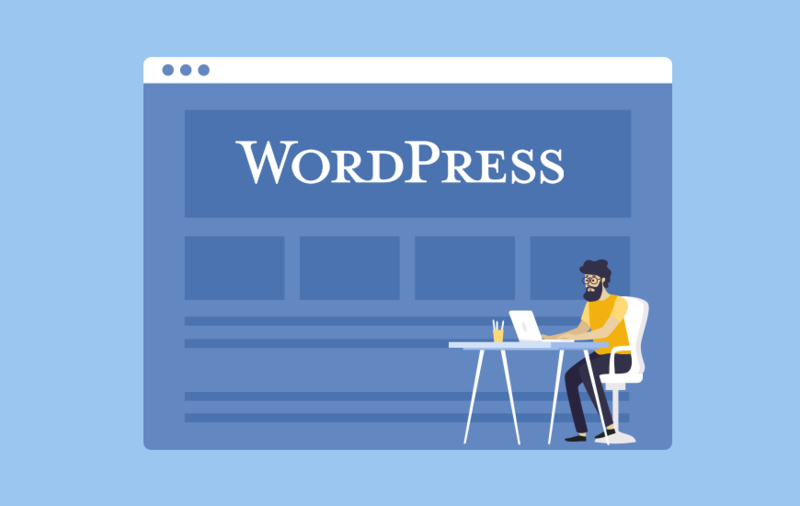 The good side about using WordPress is that there are WordPress support companies like WPFixs which can handle your website support and maintenance at a small fee. Well, before deciding to use a pre-built theme, there are a few considerations to keep in mind and that includes both its advantages and disadvantages." Free themes do not cost you anything. You can simply download the theme you want and start using it. On the contrary, a premium theme is quite expensive. Purchasing one could be worth it. But what happens? If you purchase one but find it is not exactly what you need or it does not work well with some plugins? It may be difficult for you to get back your money if you want to return the theme to the developer. This is typically the main reason people use a pre-built theme. It’s usually much faster, easier and cheaper to build. Think of a website as a house with custom development. You’re starting with a great foundation (WordPress) but need to construct most aspects of the building. A pre-built theme is more like renting. You can bring your own couch, hang some curtains and maybe paint. On the flip side, you’re not choosing where to put walls since someone else already put them in. Just like that, there are so many free WordPress themes, many plugins and configuration settings that they support. If a plugin does not work with the theme you choose, you can simply find another one. Also, you can report the issue if you would like to help other people experiencing the same problem. With Premium themes, however, due to a smaller user base, the process takes some extra time. Many themes send out periodic updates giving you more and better features on your site. Using a free WordPress theme helps you get started more quickly. Free themes are easy to find in the WordPress directory. These themes are tested for solid code and reliability. You can feel confident in using these free themes because they go through extensive testing before they are released to the public. You can use free WordPress themes to experiment and get accustomed to the platform. Free themes are great for beginners because they help you learn about WordPress experience without any extra costs. Learn how to navigate the interface, add plugins, set up pages, and write posts without the pressure of getting it perfect because you paid for it. Free WordPress themes are perfect for creating basic sites, portfolios, or temporary projects without investing much or any money. If you are a beginning blogger or solopreneur you might have little to no capital. Don’t let the lack of funds keep you from starting your website. Another reason people use these WordPress themes is that an app developer usually isn’t needed to get it up and running. Many themes come with pre-built layouts that let you simply turn them on and you have a site! Most themes give you a variety of options to customize colors, fonts, layouts, social icons, and other variables. This provides a lot of flexibility and control to any site. With a pre-built theme, it’s difficult to truly make it your own. Often at times, you’ll wind up wanting to use a feature built for a slightly different purpose than its original purpose. This makes things not work quite right. For example, your “client stories” might only be built in an area called “testimonials,”. Also, your staff bios might have to be listed under “Employees” and may not have photos when something else like “Meet Our Team” with large images might be more appropriate. Many of the free WordPress themes just don’t look good. Just take a look at WordPress’s theme directory and you’ll see what I mean. Aesthetics are subjective but WordPress novices just don’t have a good design sense and might not even know what to look for in good web design. They might go for a free theme that features their favorite color rather than a theme that provides a sound user experience. You can overcome the average design if you have some HTML or CSS skills. However, you’re stuck with what the theme designer gives you without basic coding knowledge. This is part of the learning curve of WordPress and web design in general. Sometimes you just don’t know what you don’t know. It takes time and experience to develop a working design aesthetic. If designing is not your forte, consult with a professional designer. They can help you build clarity around your brand goals. Developers rarely provide technical support for free themes. Theme companies usually reserve technical support for customers who purchase the full theme. You might not even have access to a forum or the ability to submit a support ticket because you opted for the free version. Remember, the free theme is the dangling carrot created to lure you into becoming a paid customer. Clean code is important for the performance and functionality of your site, not to mention that it affects how search engines look at your site. While sophisticated pre-built themes look great on the surface, many don’t look great under the hood. Some use badly-written code that can affect performance and stability. Theme developers can get away with this because their audience is non-developers. These are people who are less likely to know how to spot a bad code format. So this was our take on what are the advantages as well as the disadvantages of using free WordPress themes. We hope this article provided you with some great insights regarding the use of free WordPress themes. Also if you want to read more such interesting topics then feel free to check out our other articles as well. And to stay updated with the latest trends in the mobile app industry, follow MobileAppDaily by clicking on the ‘Subscribe’ button now. NEXT What To Do If Your iPhone Has Connectivity Issues?